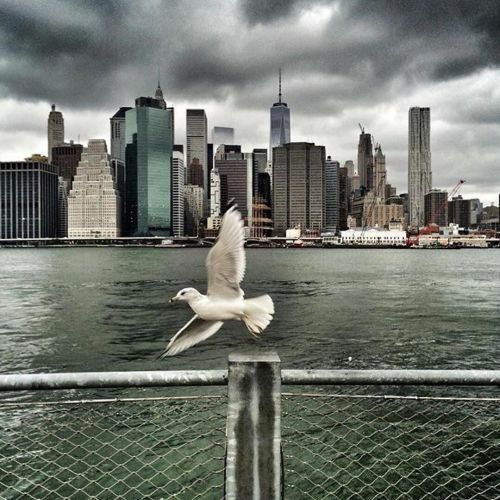 "Thank you to everyone who came out to hunt for photos in the rain on Saturday in @brooklynbridgepark. Search the #NYTPhotoHunt hashtag to see more photos by @moe_zoyari, who took this picture, and all of the other participants. Finally, join us on Thursday at @photovillenyc for a projection featuring photos that have appeared on the @nytimes #lensblog. #regram" By nytimes on Instagram.